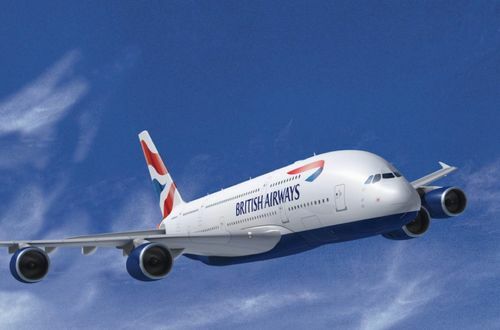 British Airways is a world-class airline with a proud history. They are seeking agile-minded, forward-thinking graduates and undergraduates to deal with the challenges of the modern world. Data and new technologies make serving 45 million customers both simpler and more complicated. Regulation and sustainability add to the complexity. British Airway’s situational judgement test presents you with a series of challenging scenarios that one might encounter in the workplace and then a number of possible responses to the scenario. You then chose which one you feel is the best way to describe how you would react. This comprises of a series of questions relating to graphs, percentages and tables whereby you will be asked to analyse data and chose from a set of multiple choice answers. This type of tests is used to measure your numerical ability as well as graph and data interpretation. There is usually between 20 and 25 questions to answer in timed conditions. This test comprises of a series of paragraphs which you will be required to read and then answer questions. Your options will be True, False or Cannot Tell. The verbal reasoning test will be assessing your analytical, comprehension, language understanding and grammar skills, amongst others. These are also timed so practicing within a time limit is a good idea. The diagrammatic and logical reasoning tests comprise of questions relating to sequences of shapes and patterns. In each question there will be a missing step and you will be provided with a number of answers to choose from. They help to measure your logical thinking and problem-solving and are also timed. This is like the SJTs and is likely to be asked depending on the role you are applying for. You will be given various scenarios and will be asked to rank your answers. The group exercise is designed to test your people skills and how you work within a group. You will be required to provide possible solutions to a given problem regarding scenarios you may find in the organisation’s work place and usually related to the job role you are applying for. You’ll be placed in groups and will be assessed on how you interact in groups. Make sure to find a happy balance between being dominating and passive. You will be expected to give a short presentation and a subject provided. You will be given time to prepare and will be allowed to take prompts in with you. The subject may be given to you in advance or on the day but you will be given time to prepare. This will be assessing your public speaking and presenting skills as well as how you perform under pressure during questions following your presentation. This may also be in the form of a case study. The British Airways role play will be an individual exercise whereby you’ll have a role play with the assessor focusing on various situations that you may be faced with at the organisation. You’ll have a short time to prepare and you’ll be assessed on how you deal with the situation given.